Aggressive media such as vapors or cleaning agents are at times a challenge for standard ultrasonic sensors. The sensor face, called a transducer, can be worn by these media and thus become impaired. 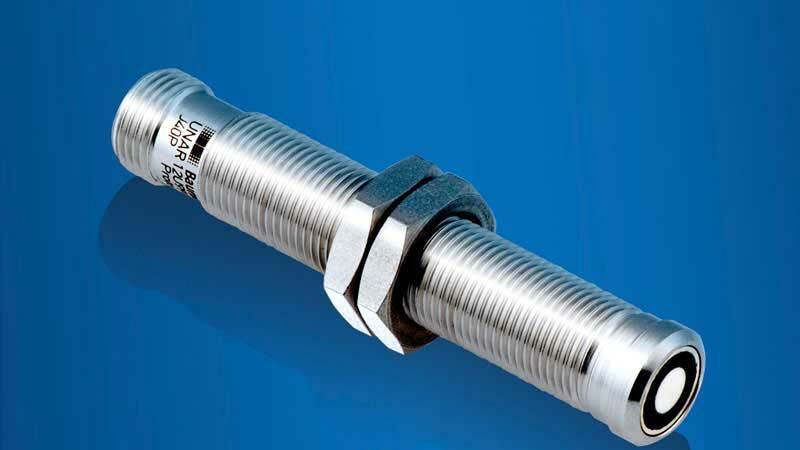 The new chemically robust UNAR / URAR 12 miniature sensors are a great fit for these environments thanks to an ultra-thin patented parylene coating on the sensor face and stainless steel all-metal housing. These compact sensors are an addition to the preexisting Baumer portfolio of chemically robust sensors and are available as proximity, retro-reflective and distance sensors. Some example applications are level measurement of paints and varnishes in the printing industry or in pressure tanks or compact laboratory containers in the pharmaceutical industry. Thanks to very short response times of < 6 ms, a narrow sound beam and the FDA-compliant material, they are also suitable for fast applications such as presence detection of bottles in fillers in the food and beverage industry. In contrast to ultrasonic sensors with metal caps, the parylene-coated sensors can be mounted very easily and with no additional aids.